Universal 12" Vega Series Spare Tire Single Sealed Powered 600W Subwoofer Enclosure by Cerwin-Vega. 12" POWERED SUBWOOFER. 12" 4 ohm VPAS Series Subwoofer. High output slim profile subwoofer. SPARE TIRE ENCLOSURE. Product SKU: 76866 ID: h420001d. Cerwin-Vega H42000.1D. Check out theCerwin-Vega H42000.1D Owner's Manual. 2000W HED Series Monoblock Class D Amplifier. HED Series Monoblock Class D Car Amplifier. Max Power Output: 2000W. The Cerwin Vega XED72500.1D 1 Channel Amplifier is the perfect addition for anyone that is looking for stable power in a compact design. The XED72500.1D features the latest high efficiency digital topology and is 1 Ohm stable allowing it to work with multiple woofer applications. Cerwin Vega XED71000.1M. Cerwin Vega XED Series XED71000.1M. 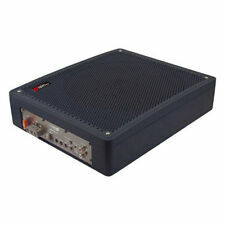 1000W XED Series Class-A/B Monoblock 2 ohm Stable Amplifier with Bass Knob Included. Class-A/B 2 ohm Stable Monoblock Amplifier. Amplifier Series XED (Cerwin Vega). 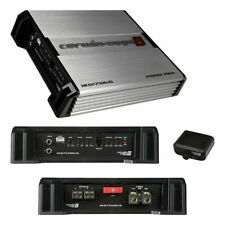 Car Audio Compact Monoblock 1-channel Class D Amplifier. 3-way protection circuitry (thermal, overload, and speaker short protection). 2 ohms: 500 watts x 1 channel. Ultra Compact High Density Aluminum Alloy Chassis. 1 ohm: 500 watts x 1 chan. Class-D 1-ohm Stable Monoblock Amplifier. 1 CHANNEL CLASS A/B AMPLIFIER. 3-way protection circuitry (thermal, overload, and speaker short protection). 2500 WATTS MAX. 2 ohms: 300 watts x 1 chan. Cerwin-Vega STEALTH BOMBER Series B51. Monoblock Bomber Series Class D Amplifier. 1000 Watts Peak Power, Monoblock Class D Car Subwoofer Amplfier. 3-way protection circuitry (thermal, overload, and speaker short protection). 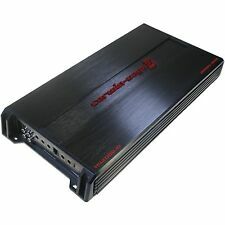 1500W Vega Series Monoblock Class D Car Amplifier. Vega Series Monoblock Class D Car Amplifier. Cerwin-Vega V1500.1D. Amplifier Series Vega (Cerwin Vega). 6 phase alternators use less horsepower per Kilowatt than conventional 3 phase alternators. Cerwin Vega XED72500.1D. Cerwin Vega XED Series XED72500.1D. 2500W Max (500W RMS) XED Series Class-A/B Monoblock 1 Ohm Stable Amplifier with Bass Knob Included. Class-D 1-ohm Stable Monoblock Amplifier. Product Highlights: Cerwin-Vega XED71200.1M. Cerwin-Vega XED71200.1M. Cerwin-Vega XED71200.1M 1200W Manual. Cerwin-Vega XED71200.1M 1200W. Power Output: 1200W. High quality mono-channel class AB technology design. Vega Series Monoblock Class D Car Amplifier. 1500 Watts Peak Power, Monoblock Class D Car Subwoofer Amplfier. 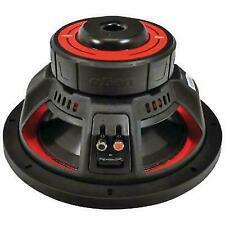 Cerwin-Vega VEGA Series V1500.1D. 1 ohm: 1500 watts x 1 chan. Input Sensitivity: 0.2 mV - 5.0 V.
BKX212S - Cerwin Vega 12" 4-Ohm 3000W Loaded Subwoofers Enclosure with Amplifier. 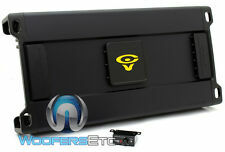 2 12" XED Series Single 4 Ohm Subwoofers Included. Amplifier Features. Includes specially designed basskit specific amplifier. Product Highlights: Cerwin-Vega VPAS12ST. Cerwin-Vega VPAS12ST 60 0W Manual. Cerwin-Vega VPAS12ST 60 0W. Peak Power: 600W. High output slim profile subwoofer. Plug and Play Connection System. // NEED TO PRICE MATCH?. CERWIN VEGA XED712001M. MPN XED712001M. MY AUDIO EMPIRE. Hi - Level Input. Condition NEW. High Quality Mono-Channel Class AB Topology Design. Tight Connection Mount RCA Connectors. Switchable Crossovers. The Cerwin Vega S9750.1D 1 Channel Amplifier is the perfect addition for anyone that is looking for stable power in a compact design. Cerwin Vega also designed this amp to be compact and put all the connections on one side so it is easy to install and easy to access once it is in your vehicle. Monoblock Bomber Series Class D Amplifier. Bonus Free Amplifier Installation Kit! 3-way protection circuitry (thermal, overload, and speaker short protection). International(includes Canada). 5 lb and over. Cerwin-Vega VEGA Series V1000.1D. Vega Series Monoblock Class D Car Amplifier. 1000 Watts Peak Power, Monoblock Class D Car Subwoofer Amplfier. Input Sensitivity: 0.2 mV - 5.0 V. 1 ohm: 1000 watts x 1 chan. Experience the latest high efficiency digital topology with the Cerwin Vega 2400W Max 1 Channel Digital Monoblock Amplifier. This monoblock amp is also 1 Ohm stable. Let Cerwin Vega amplifiers be the driving force of your car audio system and feel the power! Cerwin-Vega STEALTH BOMBER Series B1. Bomber Series Monoblock Class D Digital Amplifier. 1000 Watts Peak Power, Monoblock Class D Car Subwoofer Amplfier. Vega Bass Boost (0-18dB @ 45hz). 2 ohms: 500 watts x 1 chan. Trending at $136.65eBay determines this price through a machine learned model of the product's sale prices within the last 90 days. Product Highlights: Cerwin-Vega H71800.1D. Cerwin-Vega H71800.1D 1800W Manual. Cerwin-Vega H71800.1D 1800W. Power Output: 1800W. Series: HED. Proprietary Vega Bass Boost EQ Up. Bass Boost: 0 - 12 dB. Stable Stereo: 2 Ω/ 4Ω Mono (CH3/4). Cerwin-Vega HIGH ENERGY DESIGN Series H42000.1D. 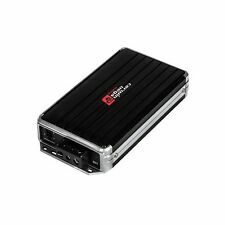 HED Series Monoblock Class D Car Amplifier. 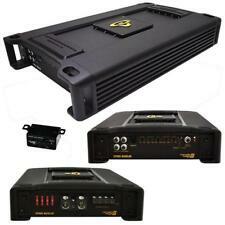 2000 Watts Peak Power, Monoblock Class D Car Subwoofer Amplifier. Input Sensitivity: 0.2 mV - 6.0 V. 1 ohm: 1000 watts x 1 chan. BKX212V - Cerwin Vega 12" 4-Ohm 3000W Loaded XED Basskit Series Subwoofers Enclosure with Amplifier. 2 12" XED Series Single 4 Ohm Subwoofers Included. Amplifier Features. Includes specially designed basskit specific amplifier. Cerwin Vega B51. Product SKU: 94246 ID: b51. 1000W Peak (500W RMS) Bomber Series Class D 2-Ohm Stable Monoblock Amplifier. Monoblock Bomber Series Class D Amplifier. Amplifier Series Bomber (Cerwin Vega). Vega Series Monoblock Class D Car Amplifier. Any claim relating to the use of this site, its materials and any sales thereunder is governed by the laws of the Commonwealth of California, without regard to conflict of laws rules and California will be the sole jurisdiction and venue for any litigation arising from the use of or orders made on the site. 500W Bomber Series Monoblock Class D Digital Amplifier. Bomber Series Monoblock Class D Digital Amplifier. Amplifier Series Bomber (Cerwin Vega). Product SKU: 76852 ID: b1. Cerwin-Vega B1. Vega Bass Boost: 0 - 18 dB. B1 - Cerwin Vega Monoblock 500W RMS 1000W Max Full Range Class D Amplifier. Total Max Power: 1000W Max. Mono Channel. Channel Separation: >55dB. Input Sensitivity: 0.2V-5.0V. Overall Efficiency: >88%. The Cerwin Vega B51 (1) Channel Monoblock Amplifier is the perfect addition for anyone that is looking for stable power with a compact design. Its ultra-compact high-density aluminum alloy chassis houses an advanced rollback power and thermal protection to ensure constant and equal power at all impedance loads. B51 - Cerwin Vega Monoblock 1000W Class D Bomber Series Amplifier. Monoblock Bomber Series Class D Amplifier. 3-way protection circuitry (thermal, overload, and speaker short protection). Variable bass boost : 0 - 12 dB Hz. 1200W MAX Power. Hi - Level Input. We focus on making purchasing online a pleasant experience. Our sales office is located in beautiful town of Redondo Beach, California, just a few miles South of Los Angeles International Airport. Manufacturer Part Number VCU81. Product Model VCU81. CERWIN VEGA Cerwin Vega 1-Channel / 600WX1@1 Ohm 400X1@2 Ohms 240WX1@ 4 Ohms RMS. Manufacturer CERWIN VEGA. 13 oz to 4 lb. 12 oz or less. 13 oz to 4lbs. Cerwin Vega 1800W Max 1 Channel Monoblock Amplifier H71800.1D. Experience the latest high efficiency digital topology with the Cerwin Vega H71800.1D 1 Channel Digital Monoblock Amplifier. Let Cerwin Vega amplifiers be the driving force of your car audio system and feel the power! SPRO 1600.1D - Cerwin Vega Monoblock 1600W Stroker Pro Series Amplifier. Total Power: 1600W. Power at 1-Ohm: 1600W. Input Sensitivity: 0.2-5.0V. HED Series Monoblock Class D Car Amplifier. Max power output: 1500W. 3-way protection circuitry (thermal, overload, and speaker short protection). Mono channel operation. Variable low-pass filter (35-150 Hz, 24 dB/octave). Cerwin Vega Stealth Bomber Mini Digital Monoblock 500W RMS Amplifier. B1 - Cerwin Vega Monoblock 500W RMS Full Range Class D Amplifier. Manufacturer: Cerwin Vega. Item MPN: B1. Item part number: B1. With our dynamic pricing model, our prices are always competitive. 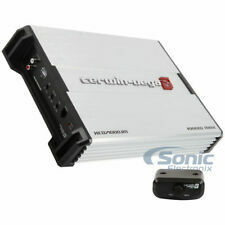 Cerwin Vega STROKER 1000.1 Monoblock Car Amplifier. You should not use this information as self-diagnosis or for treating a health problem or disease. CERWIN VEGA H712001D. MPN H712001D. HED Series 2-Channel Class A/B Car Amplifier. Max power output: 1200W. Ciompact size with ambient backlit logo. Condition NEW. RCA pass through output for easy system expansion. Cerwin Vega H72400.1D. Cerwin Vega HED 7 Series H72400.1D. 2400W Max (1200W RMS) HED 7 Series 1 ohm Stable Monoblock Amplifier. Class-D 1 ohm Stable Monoblock Amplifier. Amplifier Series HED (Cerwin Vega). Cerwin-Vega V1000.1D. 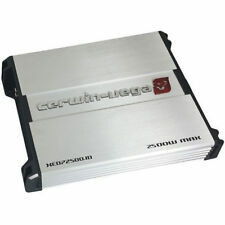 1000W Vega Series Monoblock Class D Car Amplifier. Vega Series Monoblock Class D Car Amplifier. Amplifier Series Vega (Cerwin Vega). Check out theCerwin-Vega V1000.1D Owner's Manual. SPRO 3100.1D - Cerwin Vega Monoblock 3100W Stroker Pro Series Amplifier. Total Power: 3100W. Power at 1-Ohm: 3100W. Input Sensitivity: 0.2-5.0V. / 2 ohms: 500 watts x 1 chan. // Signal to Noise Ratio (@1w): 88.5 dBa - Input Sensitivity: 0.2 mV - 5.0 V - Damping Factory: >70 - Frequency Response: 10 - 350 Hz//. // NEED TO PRICE MATCH?. - Latest high efficiency full range digital topology - Surface mount component technology with 4-layer PCB - Convenient output clip indication for easy system set up//. Vega Series Monoblock Class D Car Amplifier. Convenient output clip indication for easy system set up. You may also be interested in. Product SKU: 145515 ID: vcu81. Cerwin-Vega VCU81. Vega Series 1000W 1-Channel Class D Monoblock Car Audio Amplifier. Car Audio & Video. SMD DD-1 Distortion Detector. Cutting edge 6 phase hairpin stator technology with Twin internal rectifier plates with finned heat sink. Latest High Efficiency Full Range Digital Topology. Tiffany Style Low Level RCA Inputs. Max Power: 600W. Slim 12" 4 Ohm Subwoofer. Remote Bass Knob Included. Passive Radiator Design. Phase Switch: 0 or 180 degrees. Experience clear, vibrant sound, and hear aspects of songs you probably weren’t aware of with premium quality products by Carwin-Vega designed and manufactured to make you not only hear the music but also 'feel' it. CERWIN VEGA VRAD10. 10" 4 Ohm Vega Series Subwoofer. WITH PASSIVE RADIATOR. Built-In Passive Radiator. ACTIVE SUBWOOFER. 600 WATTS MAX POWER. Peak: 600 watts. 200 WATTS RMS. SPRO 2600.1D - Cerwin Vega Monoblock 2600W Stroker Pro Series Amplifier. Total Power: 2600W. Power at 1-Ohm: 2600W. Input Sensitivity: 0.2-5.0V.